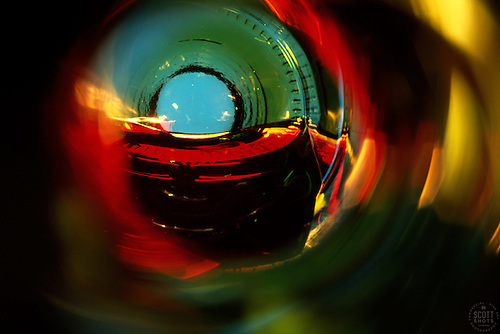 New "Beauty at the Bottom" Photo Exhibit at Rick's Wine Cellar in Marin, CA. Scott Thompson and his prints to be exhibited at Rick's Wine Cellar. 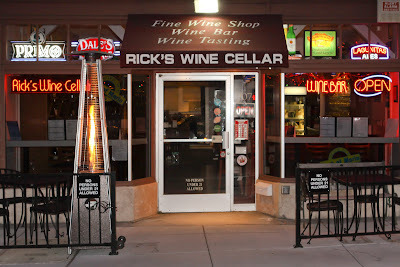 Starting Saturday May 19th, I'll be exhibiting my "Beauty at the Bottom" photos at Rick's Wine Cellar in Marin. The exhibit opening reception will be on Saturday June 9th, from 4-7pm. I'll be there to talk about the photos, answer questions, and most importantly, to have fun with my San Francisco Bay area friends and fans. Photo courtesy of Rick's Wine Cellar. Also.... At the reception I'll be raffling off a signed 8"x10" print of the popular "Beauty at the Bottom: Red Wine 2"! You will need to be there to enter the drawing and again to pick up the print, but you won't need to be present to win. Hope to see you there, CHEERS!!! 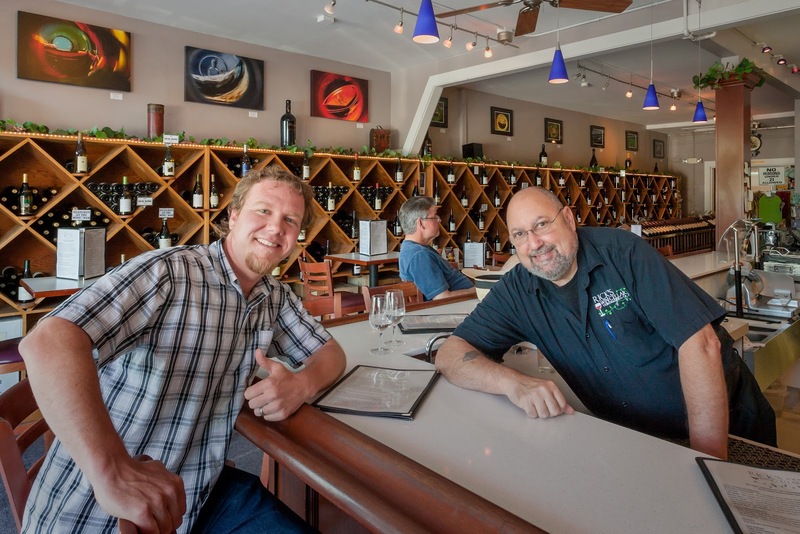 Scott Thompson and Rick Mendell of Rick's Wine Cellar. Scott Shots Prints, now available at the Vista Gallery in Tahoe Vista! I have BIG NEWS to share. My Tahoe area Scott Shots Photography prints are now available at the Vista Gallery in Tahoe Vista! The Vista Gallery is a great gallery owned by Tony Spiker of Spiker Photography and his wife Melissa who does a great job running the gallery's social media presence. It has an incredible view of Lake Tahoe, but your eyes will likely be checking out the wonderful art. 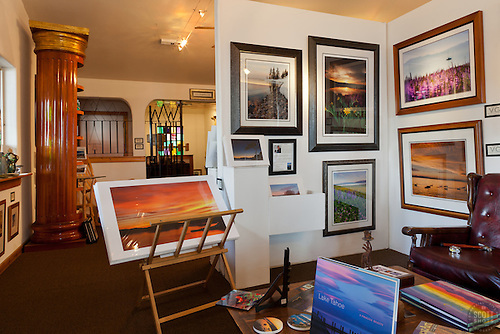 The artwork in the gallery includes Tahoe area photography from many local photographers, incredible paintings, sculptures, and more. They also have a full service frame shop in the gallery! The frame shop is a great because I sell unframed prints there and on my website. The Vista Gallery has a huge selection of moulding and mats and they do quality work. You can find elegant expensive frames there or economical yet nice frames that compete on price with the bulk frame shops in the cities. Also, soon... my work will be available for renting or "rent to own" at the Vista Gallery. This is perfect for Real Estate agents or interior decorators that stage homes, businesses or hotels that need large amounts of art but don't want to pay for it all at once, or fine art buyers that want to try out the art on their wall for a while before committing to buy. Please stop by the gallery and check out my work and the other art there the next time you're in Tahoe Vista. You won't be disappointed! 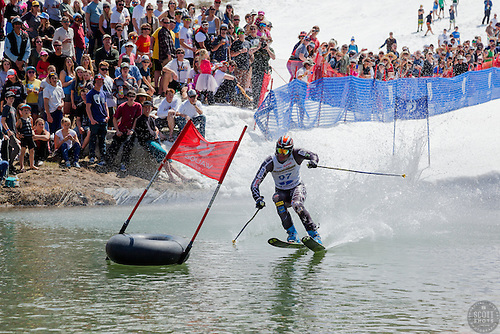 a pond during the Cushing Classic at Squaw Valley, USA. This past weekend brought an end to the 2011/2012 ski season at Squaw Valley USA. My son skis and I snowboard there almost every Sunday in the winter. It's one of the reasons we moved to the Tahoe area. This closing weekend was also the famous Cushing Classic pond crossing. An event where skiers and snowboards dress in silly costumes and attempt to ski across Lake Cushing (it's more of a pond than lake). I was there with my friends and family and wasn't planning on working, but I brought my camera just in case. We ended up getting a great spot to sit, thanks to my wife, so I got the camera out of the bag. I'm glad I did, as I got a ton of fun and funny photos of a very entertaining event. Below is a slideshow of the Cushing Classic. If it looks like fun, be sure to check it out next spring! The images above are available as prints or to license as editorial photography. Click on an image for more info.